ESTES PARK, Colo. - Known as the base camp to Rocky Mountain National Park (RMNP), Estes Park is a Colorado mountain village beloved by residents and guests alike. With a variety of historical tours, a range of activities and adventures guided by local outdoor experts, and a number of unique festivals, Estes Park is an excellent destination for guests of all ages. This year through September 2015, the town will help celebrate RMNP&apos;s Centennial Anniversary with special packages, events and more robust outdoor programming in the park. Below is a sample of new offerings and the beginning of centennial celebrations in the destination. Ranger-Led Programs in RMNP - Guests can walk side-by-side with a park ranger while learning about the environment surrounding them. From wilderness and wildlife walks to full moon snowshoeing events, there are a variety of choices to appeal to everyone&apos;s interest. New Classes at Rocky Mountain Conservancy - A non-profit organization supporting RMNP, Rocky Mountain Conservancy offers interactive, hands-on courses year-round to get people into the park and learning about the abundant history and flora and fauna of the area. New seminars this year include a Wintertime Wonders Bus Tour; a snowshoeing trek for families; and a winter photography course. Pioneers of the Peaks: Local Climbers Who Made History (Jan 26, Feb 23, Mar 30, Apr 27, May 18, 2015) - This year through June, a monthly series will feature special guests from among the 18 local climbers and mountaineers who were interviewed for the Climbers&apos; Oral History Project. These monthly talks will be held at the Estes Park Museum in conjunction with the museum&apos;s "Climb On!" exhibition, celebrating the 100th Anniversary of Rocky Mountain National Park. RMNP Collaboration & Transformation Presentations (Mar 23 & June 20, 2015) - The first presentation on March 23, 2015, will review the value of collaboration to the history and future of the park in regard to things like the acquisition of Lily Lake, hike and bike trails, the operation of Hidden Valley ski area, wildlife and plant research, and educational events. 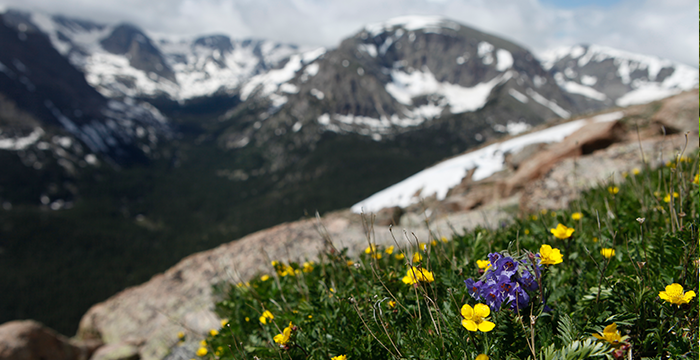 A second presentation on June 20, 2015, by author and Ph.D., Thomas Gootz, will show how human interference has altered RMNP and the challenges that climate change presents to both flora and fauna. Celebrating Rocky Invitational Art Show (June 6 - July 23, 2015) - This invitational show highlights the work of former Arts for the Parks Top 100 artists and area artists who have participated in wildlife and landscape art shows. New work celebrating RMNP&apos;s past and present will also be displayed. The opening ceremony is June 6th from 5-7pm. The Oratorio Society of Estes Park presents an RMNP Centennial Celebration Concert (June 12, 2015) - This concert is devoted to celebrating the 100th Anniversary of RMNP. Two new works have been commissioned for the concert - an opening fanfare by noted local composer Jerry Brubaker and a 25-minute cantata entitled Wilderness Reflections for soloists, chorus, and orchestra by St. Louis composer and poet Robert Charles Howard. The program will also include the Spring section of Haydn&apos;s "The Seasons." Rocky Mountain Half Marathon (August 1, 2015) - Runners can register with Vacation Races for a beautiful half marathon in the town of Estes Park. 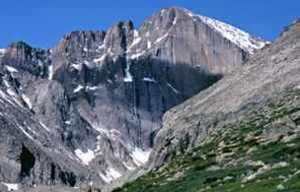 The entire run has spectacular views of Longs Peak and the Continental Divide. RMNP Centennial Celebration Concert (August 30, 2015) - The Colorado Wind Ensemble will perform a concert featuring its 45-member woodwind, brass and percussion orchestra. The program will feature music reflecting the mood of the nation in 1915 - the year RMNP was founded - and music that celebrates the outdoors. Fee Free Days - Visitors will be able to enjoy RMNP for free on February 14-16, April 18-19, August 25, September 26 and November 11, 2015. St. Vrain Brewing Company - Estes Park&apos;s first microbrewery, St. Vrain Brewing Company, is set to open in early 2015. The brewery will include a 15-barrel system, indoor tasting room, and an outside patio. New Fall River Village Condos - Located along the banks of the Fall River and the popular Riverwalk, Fall River Village will be Estes Park&apos;s newest condo resort. Once complete, the resort will feature 60 vacation condos, a large pool, two hot tubs, a recreation room, fire pit and picnic areas, and horseshoes. Aspen Lodge Hosting First "A Hero Reborn" Program - The History and Heroes Foundation will offer the first session of a new program, called "A Hero Reborn," this fall at Aspen Lodge & Resort. The eight-day, live-in treatment includes alternative therapies and healings arts for female veterans with Post Traumatic Stress Disorder and Military Sexual Trauma. Rocky Mountain Park Inn Renovations - Rocky Mountain Park Inn began room renovations in December 2014. The project is slated for completion by February 2015 and will include new carpeting, drapes, lighting, and art. New Pocket Park Playground - A new playground was constructed near the intersection of Larkspur and Carriage Drive in late September 2014. 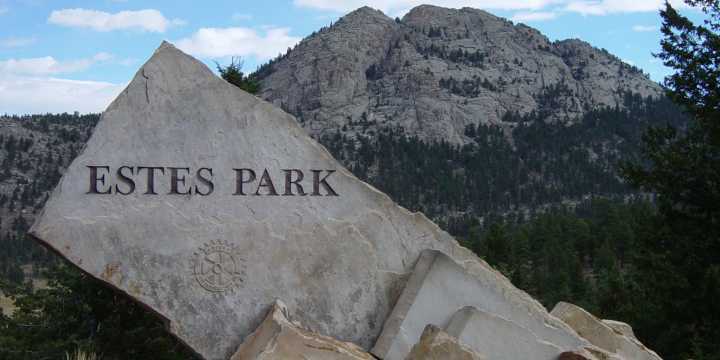 Estes Park was chosen by Nordson Corporation to receive the park as a donation after the 2013 floods. Wildflower Mercantile - Wildflower Mercantile opened in November 2014. The store specializes in vintage-inspired home décor and gifts, candles, women&apos;s accessories, and bath and body products. Distinctively Colorado Unique Foods & Gifts - Distinctively Colorado Unique Foods & Gifts moved into the former Richard Hahn&apos;s gallery space in November 2014. They sell Colorado-grown and produced items including jams, jellies, hot sauces, lotions, and accessories. Dragon Leaf Tea Co. Opens - The new Dragon Leaf Tea Co. opened in late August 2014. A wide variety of white, green, oolong, black, and pu-erh loose leaf teas are now available for purchase in-store or online. Moon Kats Tea Shoppe Moves to The Prospect Inn - Moon Kats Tea Shoppe opened its new location at The Prospect Inn in August 2014. In addition to tea and homemade pastries, customers can enjoy a full lunch menu including a variety of salads and sandwiches. Climb On! Exhibit at Estes Park Museum (Through Oct 4, 2015) - Granite boulders, sub-alpine crags, and high mountain walls make the Estes valley a world-class training ground for both elite and amateur climbers. Participants will learn about ascending rocky terrain and how individuals pioneered local routes in Rocky Mountain National Park. NEW: Windows to the West Art Show & Estes Park Western Days (May 29-31) - The Estes Park Heritage Foundation will be welcoming western artists from 14 states to display and sell their paintings, photography, sculpture and more. The Friday evening gala will include the opportunity to purchase the famous works, which will be on display Saturday and Sunday. With the art showcase, guests will also enjoy the Western Merchandise Show and western music throughout the village. NEW: Rocky Mountain Irish Festival (June 18-21) - New in 2015, this festival is all about Irish heritage and culture, celebrating art, literature, music, dance and more! Learn about the history of the Irish in the US, trace your Irish roots and revel in the magic of Ireland. Located in one of nature&apos;s most stunning locations adjacent to Rocky Mountain National Park, Estes Park is an outdoor lover&apos;s paradise offering seemingly endless activities. Year-round pursuits fueled by "leg-power" include everything from hiking, horseback riding, fly fishing, wildlife and bird watching, to snowshoeing, cross-country skiing, and much more. 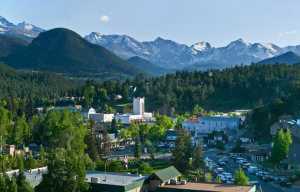 The authentic, low-key charm of Estes Park coupled with a wealth of activities makes Estes Park a very popular destination not only for nature enthusiasts but for active couples of all ages and families of all sizes.